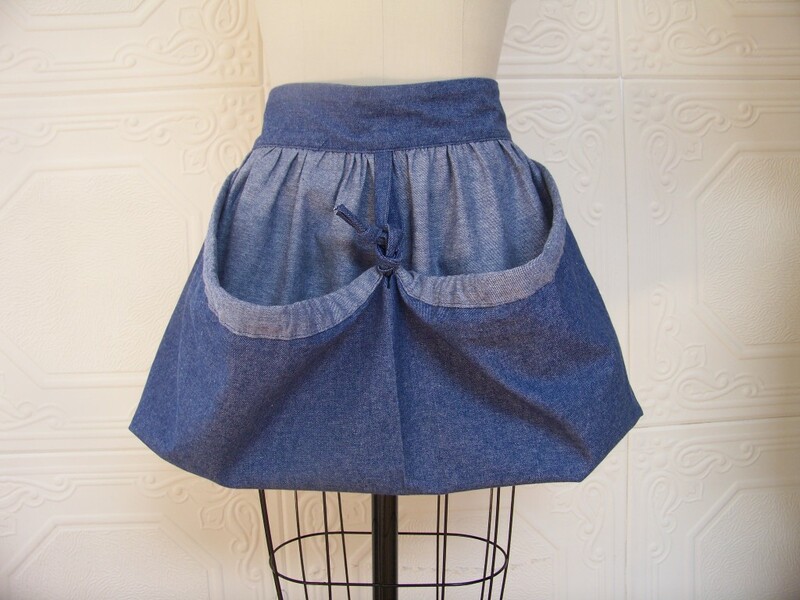 Our most popular springtime Apron remains to be the Gathering Bag Apron. It’s as simple as having a bag strapped to you, you stay hands free, to pick, to weed, to harvest. You don’t have to work your way around the garden and then realize that the basket got left way back at the end of the row. Keep your container with you, made from a fabric that takes abuse from dirt, and even mud will wash out nicely and opens up to spill out your loot. We always know when the garden season has started for our customers, the gathering bag suddenly awakens from slumbering winter sales and blossoms once again into our favorite Apron. Here it is in its semi closed bag form.Adjust the drawstring to however opened you want the bag. Picking peas? Picking flowers? It will adjust to your needs nicely. Here it is in an Open Bag form.You can tie it up to the center loop and it makes two nice open pouches. Open it up completely to spill out your harvest onto the table for cooking and processing. At customer request, we added a bib option last year for those who gather heavy loads. We agree, it you are lugging 40 pounds of rhubard, or just picked 35 pounds of potatoes, the apron may pull a bit on your waist. The bib prevents that. You can set out for some serious harvesting with the bib top. 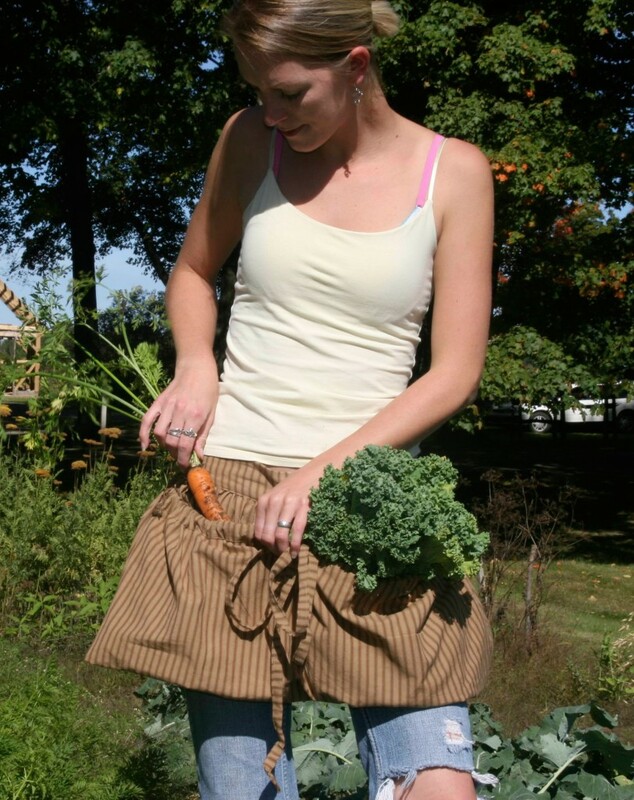 The Gathering Bag Apron makes harvesting for the evening meal easier. We only make it from homespun and denim, no pretty prints, just work fabrics that won’t wimp out on you. 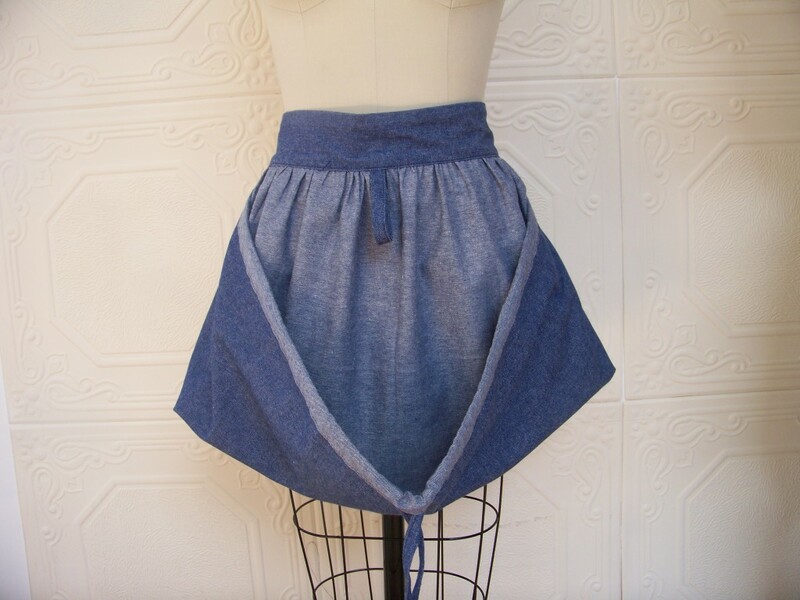 It is an Apron that makes your life easier and does it’s job every time you need it. 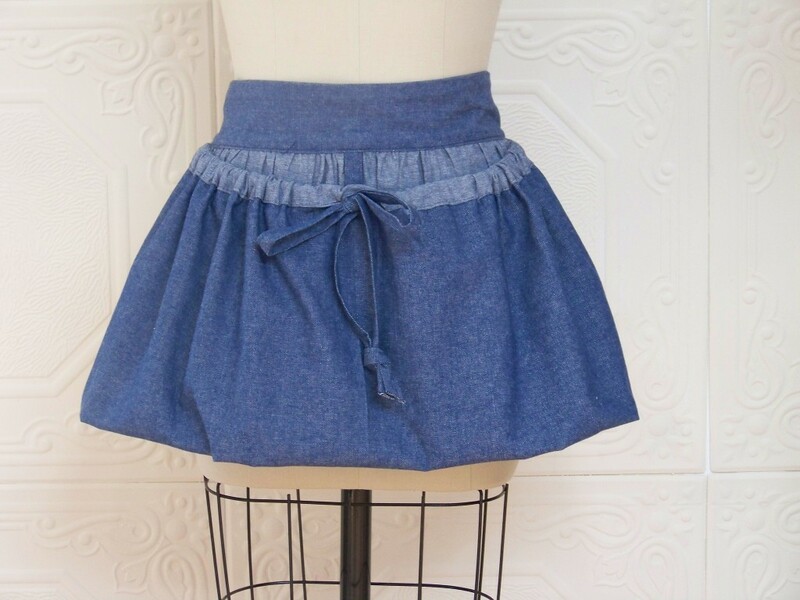 Is there a way to get the pattern for this gathering apron? Hello, We aren’t offering our designs in pattern form. That being said, we are working on a website for all of our our designs that we no longer sell commercially. We are gping to sell those designs in pattern form. That website should be live in another 8 weeks…sooner I hope. Well which is it? Are you compiling your old patterns so that people may purchase them or are you just flattered that people are interested in them but are not planning on selling them? We did formalize a plan and it’s being implemented. At this point we are actively in the process of creating a little pattern company. We have already complied a collection of our patterns that we no longer use. We are in the process of turning them into digital versions for download. This is new territory for us so it’s hard to establish a timeline but the rate we are going, we should have something up to get started before Thanksgiving. Once the site is up, we will just keep adding new patterns that we create specifically for digital download. If you have the gathering apron with bib pattern available I would love to make them for my four girls that garden and do alot of yard work. Thank you for the interest. The design is owned by The Vermont Apron Company. We aren’t selling patterns for the aprons we currently sell but we are putting together a collection of patterns for aprons that we have done in the past. 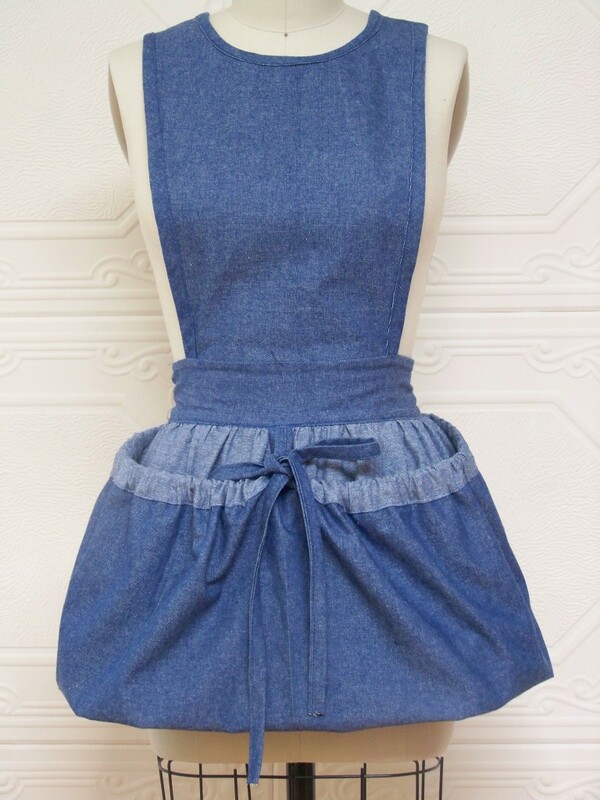 Is there a pattern for the gathering apron? We have never sold our patterns.We may in the future sell some of our old patterns that we no longer use commercially. They would be for personal use only. We don’t sell our designs but thank you for the compliment of inquiring!